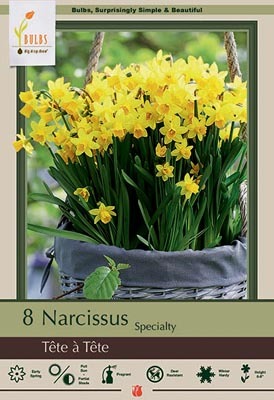 Tête à Tête is probably the most recognized miniature narcissus variety around. They are a favorite of gardeners who are looking for color in the early spring landscape. 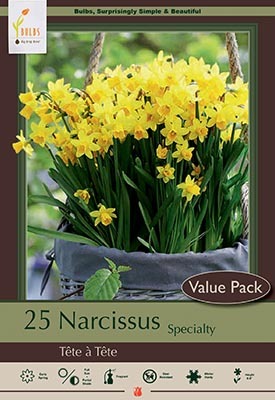 Place these smaller bulbs into pockets anywhere in the garden, along walkways or in woodland areas in well-drained soil in full sun to partial shade. Requires minimum care. Allow the foliage to die back naturally. 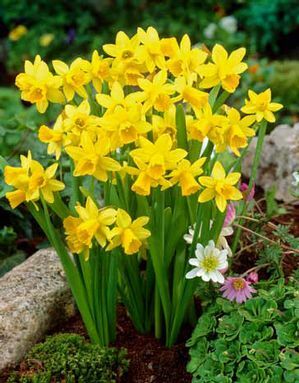 Lift dead foliage when it can be removed and these bulbs will return spring after spring.